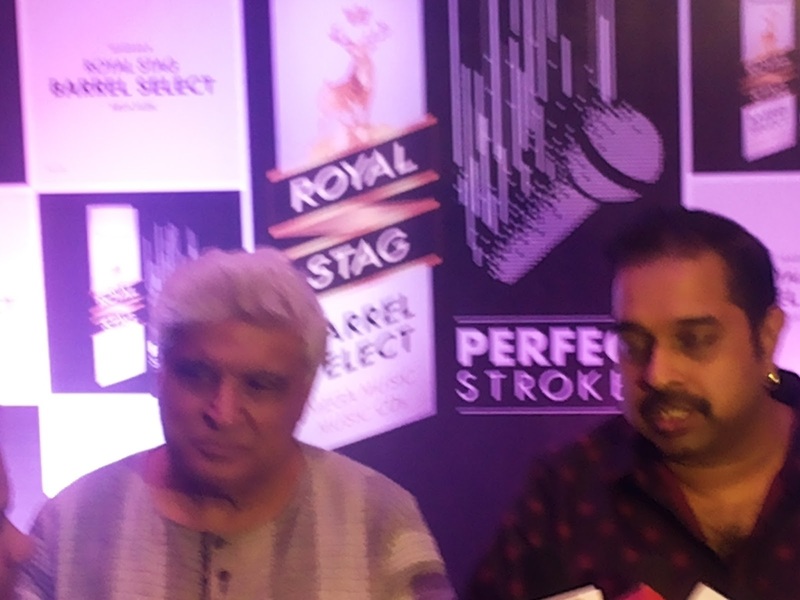 At an event organized by Royal Stag Music and lyrics engaged Shankar Mahadevan and Javed Akhtar in a conversation on Saturday in Bengaluru. The two greats - one a lyricist, another a musician - interacted with reporters before engaging in a conversation on how to create the perfect cinematic experience. "When you are in the mainstream film industry, you have to deal with producers, directors and so many others. In all this, Akhtar sir has always stood by me," Mahadevan said about his mentor and guide. On whom he considers the best music director, Akhtar said, "If you had asked me in the past, I would have said R D Burman. In today's time, I think Shankar is the best. They both have a certain class about them." Akhtar said his experience as a Rajya Sabha member was enriching. "I went in with the intention to improve our copyright laws to protect the interests of Indian writers and lyricists. Though it took two years, I am happy to say that leaders in both the Houses were sympathetic and now we have one of the best copyright laws in the world." Mahadevan and Akhtar talked about their new and upcoming projects. Akhtar has written scripts for two movies which will be announced in a few months. "Movies these days require different kind of writing. The drama is understated. The pace and structure is different from movies of the past." Mahadevan has big plans for his online Indian music academy. "We started with just 15 students and now we have people from 67 countries learning our music. I want to extend it to teach Urdu poetry and composing music. I want to make it the Harvard for music," he said.